Baked eyeshadows, of course, have their place in the cosmetic world too. Ideally, they are formulas that you can use dry (for a sheer effect) or wet (for a beautiful, foiled effect). There are now so many brands offering their version of the baked formula that sometimes it's hard to differentiate a dud from a spectacular performance. Sally Girl Baked eyeshadows were sort of my "well, let's test this out" venture. Having mentioned here that I picked these up on a day when I found myself standing randomly in the middle of my local Sally Beauty shop, I decided to pick these up so that I would have achieved something out of my seemingly pointless meanderings. 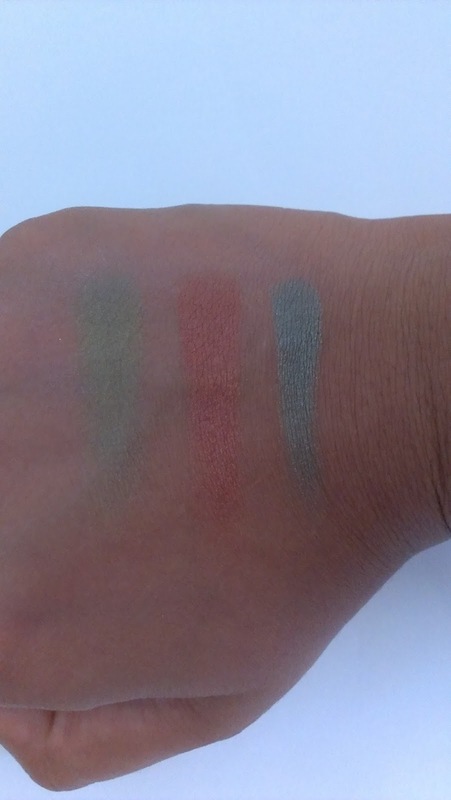 Sally Girl Baked Eyeshadows are cute little pots of eyeshadow holding 0.05oz of product. They have the typical baked appearance. 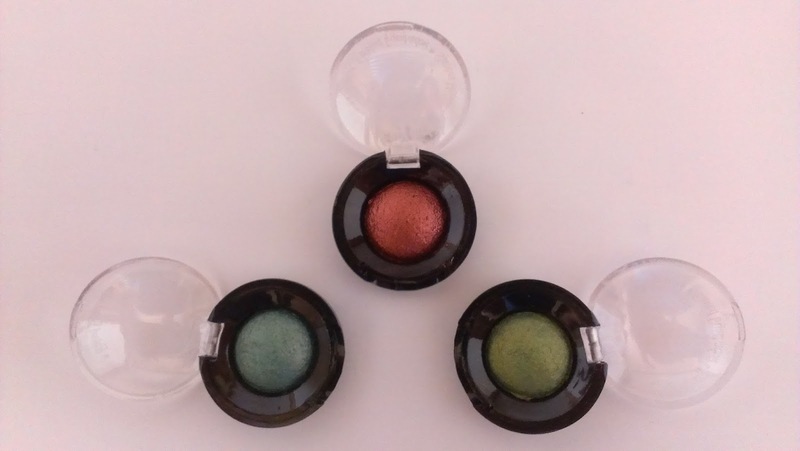 The pots themselves are nothing special, the packaging is plastic, and the top is clear so that you can see the color of the eyeshadow inside. 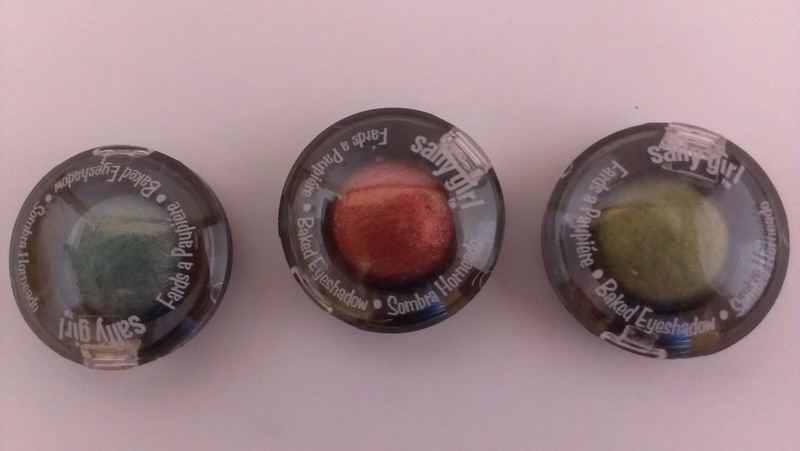 Once you open the package you can see the metallic nature of the eyeshadows. They appear quite pigmented. I wasn't really expecting much from them - I thought that they would be almost no pigmentation when swatched dry. Again, similar to their eyeshadow singles they were pretty pigmented, even when dry. The texture wasn't too hard, there was no digging out of product; similarly it wasn't so soft that it kicked up a huge amount of fallout. 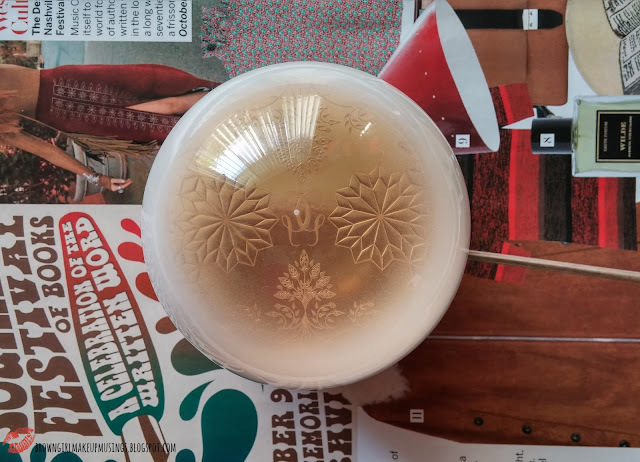 There was no chalkiness about the color - it applied smoothly and easily, blends out without any issues and is generally trouble-free to work with. It's worth noting that you do need a primer if you want them to last longer than the 3-4 hours that they do - but then again I have oily lids so wear time is normally iffy. 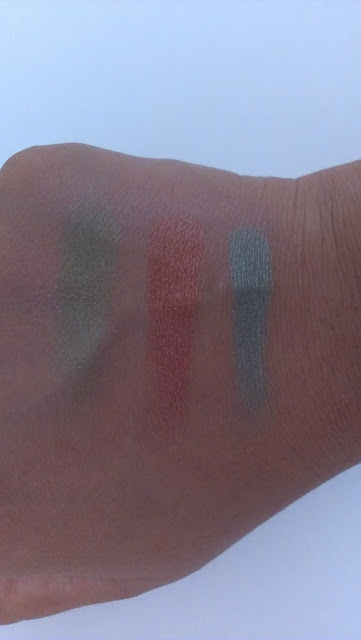 I haven't swatched them wet yet, but given how pigmented these are dry I'm pretty sure they will be way more intense when wet. The best part about these colors is that they are just perfect for the holiday season! I'm also using them as eyeliner to add a pop of color to my daily neutrals. All in all, these are lovely. There are definitely not the best out there, but for the price they're pretty nifty and such a great way for beginners to familiarize themselves with the baked formula. It's also a good way to add more color into your stash, for the price you really can't be beat. Hmm, the "baked" trend is just one I haven't really jumped on.